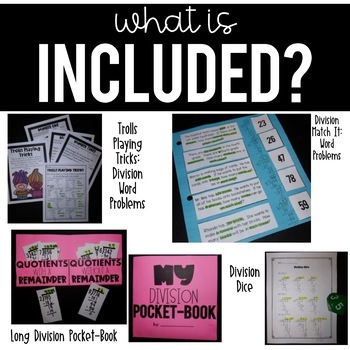 - Flip, Roll, and Divide: Students need 6 sided or 10 sided dice, Students flip over a number, roll the dice, and divide. 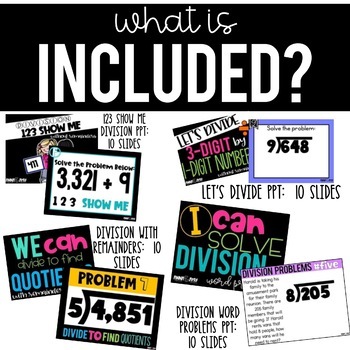 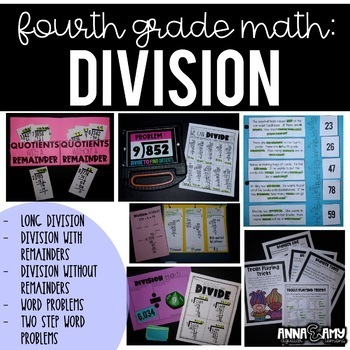 - Division Word Problems: Students have 6 word problems to solve in their interactive notebooks. 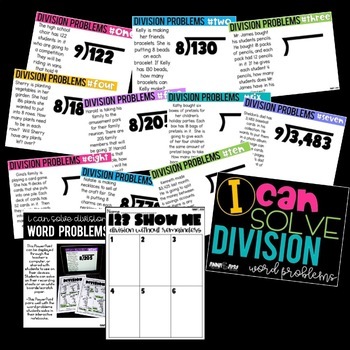 These problems include one and multi-step word problems.